For the crater on Mars, see Dawes (Martian crater). Dawes is a lunar impact crater, located in the wide straight between Mare Serenitatis and Mare Tranquilitatis. It was named after the British astronomer William Rutter Dawes. To the southwest is the larger crater Plinius. To the northeast is the Mons Argaeus mountain rise. Dawes from Apollo 17. NASA photo. Layers of mare basalt affected the paths of granular material that flowed down the crater wall. The top of the image is down-slope. From LRO. This is a circular crater with a sharp rim that has a slightly flattened oval perimeter. It has a slight central rise, and a somewhat darker floor that is nearly covered in overlapping swirl-like deposits. Much of the deposits are slumped or fall-back material. The inner walls are steep and free from impact erosion. Northeast of Dawes is a rille known as Rima Dawes. Detailed examination of this crater have located what appear to be alcoves and channels along the inner rim. 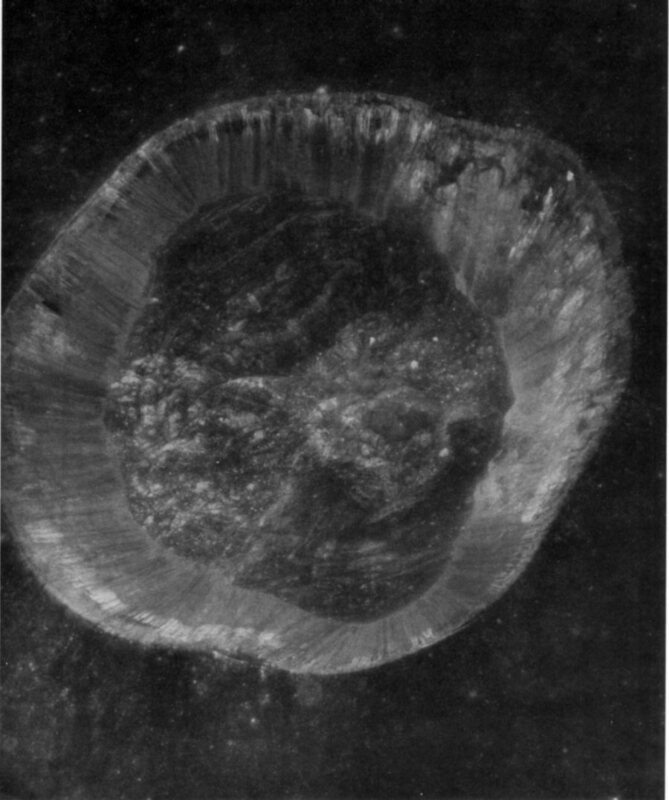 It is hypothesized that micrometeorite impacts along the rim trigger dry landslides, which produce a gully-like appearance. A similar phenomenon may be responsible for gully-like features along the inner rim of some Martian craters. ^ "Dawes (lunar crater)". Gazetteer of Planetary Nomenclature. USGS Astrogeology Research Program. ^ Stiles, Lori (2006-03-10). "Water May Not Have Formed Mars' Recent Gullies". University of Arizona. Retrieved 2015-08-04. Wikimedia Commons has media related to Dawes (lunar crater). Wikimedia Commons has media related to Rima Dawes. Wood, Chuck (August 4, 2012). "Rim Ash?". Lunar Photo of the Day. Retrieved August 16, 2017.